DE-Tenants.org has previously delved into the Qatari sovereign wealth fund’s deal to acquire part of a 19.5% stake in the Russian state-owned oil company Rosneft. We traced a trail from Qatar to Singapore, to Russia, to Italy, to Britain, and ultimately to the Cayman Islands. Read Part 1, Part 2, and Part 3 of our reporting. This update will look at new developments in the Rosneft case, as the Qatar Investment Authority (QIA) and its partner dispose of much of their Rosneft investment. 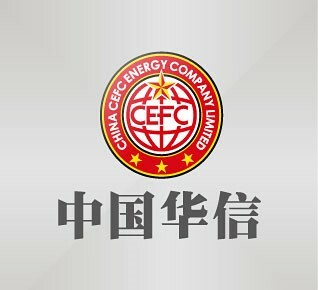 We will also scrutinize the new buyer of 14.16% of Rosneft, a little-known Chinese oil and finance conglomerate called CEFC China Energy Co. Ltd. (中国华信能源有限公司), headed by a Chinese mainlander called Ye Jianming (叶简明). In December 2016, the Qatar Investment Authority (QIA) and a Swiss oil-trading firm Glencore jointly acquired the third-largest stake in Rosneft using a joint venture vehicle called QHG Shares Pte (now renamed QHG Oil Ventures). The 19.5% stake was purchased for $11 billion. However, barely nine months later, QIA and Glencore sold 14.16% of Rosneft for $9.1 billion, marking a substantial profit of $1 billion. Glencore and QIA will retain stakes of 0.5% and 4.7% in Rosneft, respectively. Glencore stands to benefit especially, because it has sold its shares, apparently at a large premium, but still retains a prized side-deal with Rosneft to trade Russian crude that was part of the initial transaction in December 2016. Reuters and oil trade publications revealed that Rosneft and QHG Trading had made an offtake deal. Per the terms, Rosneft agreed to supply QHG Trading up to 55 million tons of crude over a 5-year period according to a formula pegged to global oil prices. Glencore currently trades about 400,000 barrels a day pumped from Rosneft, according to Bloomberg. Moscow has been the top crude supplier to China for most of 2017 and now plans to start supplying natural gas by pipeline in 2019. According to Bloomberg, “The structure of the deal and the speed at which the transaction with CEFC was announced raise questions about why Glencore and Qatar bought the stake last year in the first place.” At the time of that deal in December, politician Grigory Yavlinsky accused the government of rushing the sale to help finance the 2016 budget. The political importance of the transaction was evident in April 2017, when Russian President Vladimir Putin awarded the Order of Friendship, a top state honor, the CEO of QIA Qatari royal Sheikh Abdullah Bin Mohammed Bin Saud Al Thani, along with the CEO of Glencore and Carlo Messina the Italian banker involved in financing the transaction.